With a strong focus in one of the most regulated industries, healthcare and life sciences, M3 recognizes and values the magnitude of strong compliance. You worry about strategy and knowledge creation and we worry about the rest. M3 sets the bar high for standards in global compliance for data collection, pharmaceutical oversight, and government guidelines and regulations. M3 is committed to industry-specific laws and regulations to ensure data security and transparency to clients as well as research participants globally. With a strong commitment from our executive management team, M3 regularly participates in both internal and external audits to ensure best practices. 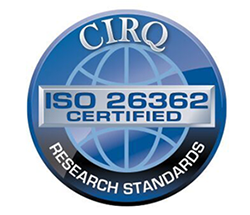 M3 Global Research operates the largest ISO26362 Healthcare Professionals panel since 2011. This certification covers the operation and management of the online panels in the USA and Europe to ensure quality data to clients. M3 USA and Japan are both ISO 27001 certified. 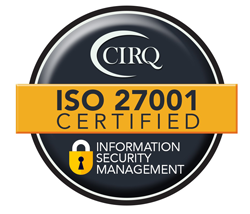 ISO/IEC 27001 is an internationally recognized program that requires an organization to implement and maintain a structured information security and data governance framework. These guiding principles are designed to maintain the confidentiality, integrity, and availability of data within our information systems. Additionally, they are framed to support an evolving legal and regulatory environment for our major practice areas. M3 USA was the first market research company awarded the EU-US Privacy Shield Certification by the US Department of Commerce. The certification replaces the Safe Harbor Agreement, with which M3 was already compliant. This new data protection framework between the US and EU was adopted by the European Commission on July 12, 2016, and is designed to better protect the transfer of EU citizens 'Personally Identifiable Data' (PII) between the EU and US.